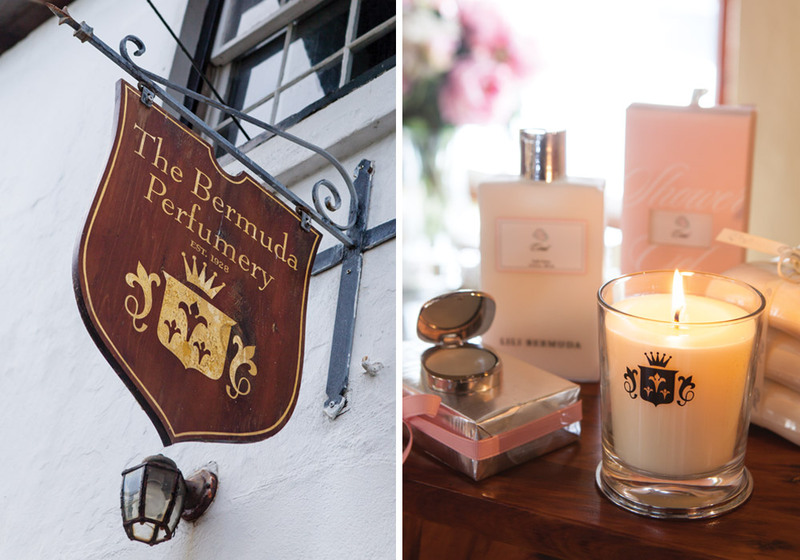 We're thrilled to see our Stuart Hall resident, Isabelle Ramsay-Brackstone, owner of The Bermuda Perfumary, as a featured entrepreneur in this month's Victoria Magazine. 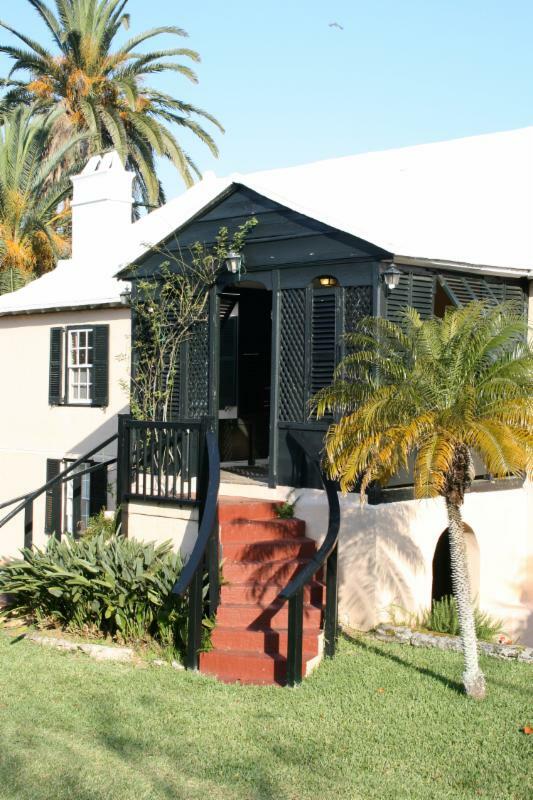 Built in the early 1700s, Stuart Hall is one of the most recognisable buildings in St. George's and was acquired by the Historical Monuments Trust (the BNT's forerunner) in 1966. 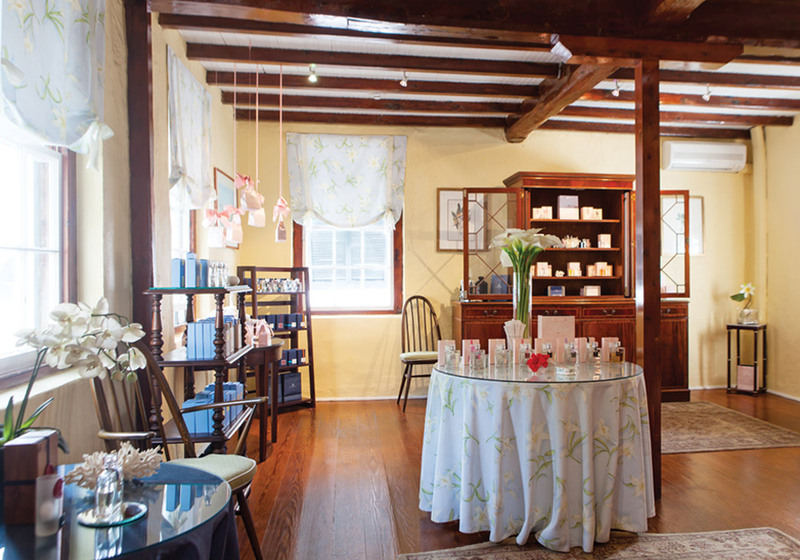 Take a look inside this beautiful building and learn more about this inspiring business here. We Need Great People Like You! We rely on teams of volunteers who generously donate their time towards our annual events, fill important positions in our museums, help on our nature reserves and in our archives. Get in-touch with nature and help make the trails around Sherwin Nature Reserve more accessible by volunteering with the Trust's Conservation Programme: ANTS! Sherwin Nature Reserve is an important sanctuary for waterfowl and contains extensive woodland. 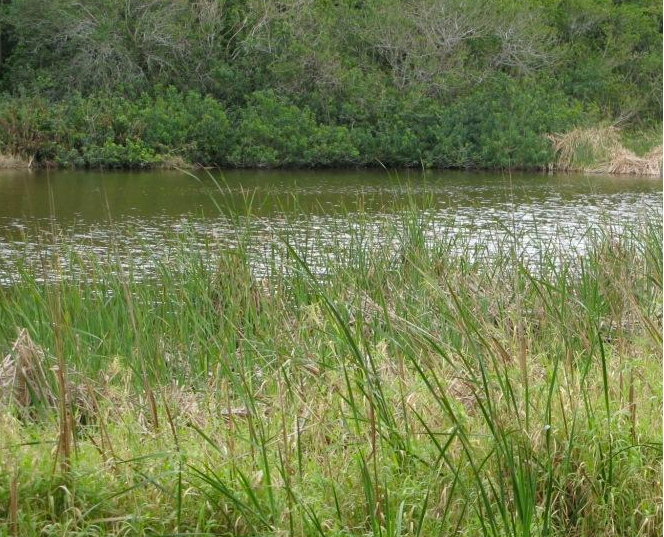 We will be working to open up the interpretive nature trail around the pond to provide easier access and enjoyment. Click our signup link here and register your interest in attending! Our reception volunteer is the friendly face of the Bermuda National Trust and is responsible for greeting visitors to our headquarters at "Waterville". The office is open from 9 am - 5 pm , Monday through Friday, but our volunteers typically take a morning (9 - 1) or afternoon shift (1 - 5). "Waterville" is a beautiful location just out of town with convenient parking and easy access to public transportation. Current vacancies include Tuesday - Friday mornings and Thursday afternoons. Please email Julie at or phone 236-6483 x225 to find out more. With your help, we aim to open our three museums (Verdmont, Tucker House and the Globe Hotel) each day from 10 AM - 4 PM. The Bermuda National Trust is seeking volunteer museum guides/docents. This is an ideal opportunity for an outgoing person who enjoys engaging with the public and has an interest in Bermuda's unique history and culture. Museum guides educate visitors about important landmarks and Bermuda's history. Simple administrative tasks related to the museums will also be involved and all necessary training will be provided. 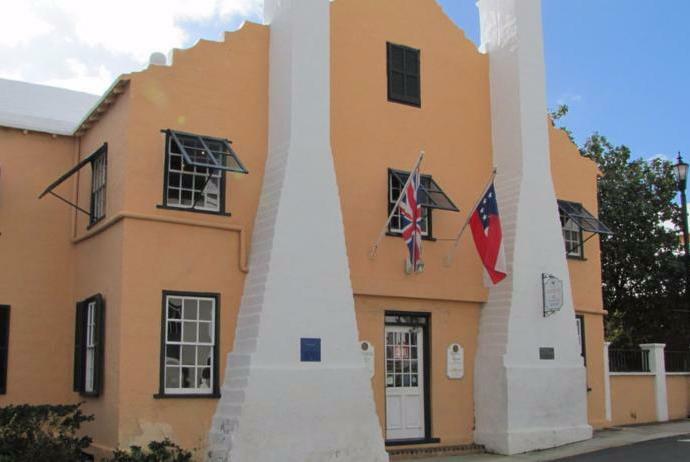 The Bermuda National Trust gift shop is located within the Globe Hotel museum in St. George's. We open Monday to Saturday and operate in three hour shifts from 10 am - 1 pm and 1 pm - 4 pm. We need volunteers who are able to welcome customers, introduce the museum and manage the cash register. Training and work shadowing is provided until you are comfortable on your own. This is a great way to spend a few hours a week so we hope you will join us. Please send all queries about volunteering at our museums by email to the Museums Manager at or phone 236.6483 x217. Join us at Waterville on Thursday the 19th of January from 5:30pm - 7:00pm for a viewing of work by Edward James, Bermuda’s finest artist during the period of the American Civil War. On display is a selection of the National Trust’s Collection of Edward James Watercolors, held at the Bermuda Archives. We celebrate Elfrida Chappell who generously donated towards the acquisition of an important James watercolour which will be on display. This is a free event, wine and nibbles will be served. The Bermuda National Trust offers its condolences to the family and friends of Andrew Trimingham, who passed away in Devon, England on Friday at the age of 82. Andrew Trimingham was a great supporter and powerful advocate for the National Trust from the time of his return to Bermuda in the 1970s until his death. He was a long-time Council member and President of the Trust from 1985 to 1987. He was also one of a number of Trust members in the 1970s who helped to found the Bermuda Maritime Museum in 1975 and remained a supporter of the Trust’s sister organisation – now the Bermuda National Museum – throughout his life. Andrew Trimingham’s expertise on Bermuda architecture was invaluable in the evolution of the Old House survey which was driven by his life companion John Adams, the former Government Archivist. The Old House Survey led to the development of the listing system for Bermuda’s old houses, and Andrew Trimingham was chairman of the Historic Buildings Advisory Committee. The Survey also formed the basis for the National Trust’s hugely successful Architectural Heritage Series, and Andrew Trimingham was the author of the first in the series, “Devonshire” and contributed to the second and third volumes on St George’s and Sandy's. Andrew Trimingham left Bermuda after his retirement and settled in Devon with his friend and life companion, former Bermuda Government Archivist John Adams. He died there on Friday, shortly after celebrating his 82nd birthday in December. Friends of Andrew Trimingham will remember that he was a passionate advocate of Bermuda’s built heritage and natural environment. He believed that Bermuda’s organically developed style of architecture, Bermuda-made artefacts and open spaces were what made Bermuda unique and attractive to others and was determined to help to preserve them for future generations. December 6, 2016 - The Bermuda Audubon Society and the Bermuda National Trust have condemned the recent practice of prising rocks from the natural formations and piling them into rock-life formations. The practice, which has occurred on several occasions in Spittal Pond, is disturbing some of the few remaining habitats for the Bermuda Skink, which is considered to be critically endangered and is protected under the Bermuda Protected Species Act 2003. Apart from disturbing the habitats of endangered species, prising up and moving rocks can also cause erosion and can disturb plants and ferns. Parks around the world are dealing with similar problems. The US National Parks Service recently launched an effort in the Southwest states of discouraging cairn-building. The charming old town of St. George’s will once again turn on the magic at the Annual Bermuda National Trust Christmas Walkabout. This year, the National Trust is introducing a ferry which will bring participants from Albouys Point in Hamilton to St George’s so they can enjoy the Walkabout without spending time in traffic. “In recent years, as the popularity of the Walkabout has grown, we have had attendees spending too much time in traffic and looking for parking spaces,” said National Trust Development Director Kelly Way. “Traffic restrictions at the Longtail Bridge will exacerbate this. “Therefore, with the cooperation of the Department of Marine and Ports, we are introducing a ferry from Hamilton to St. George’s,” she said. “The ferry will take a maximum of 350 people at 5:30pm from Hamilton to St. George’s and will leave St George’s after the fireworks at 9.15pm. The excitement and romantic “yester year” elegance that the Trust brings to St. George’s should not be missed. Musicians, dancers and carolers will entertain the crowds and refreshments will be available throughout the old town and marked on map that will be distributed on the evening. Children can meet Santa and make Christmas crafts at the Edith Clair Spencer Hall. We invite everyone to head east to explore some of the oldest continually occupied buildings in the New World which will be decorated and candle-lit for the event. Old Rectory, Bridge House, Buckingham, Tucker House, Reeve Court and the Globe Hotel will be festively decorated with each offering its own yesteryear experience. One of the Samaritans' Cottages will also be open for the first time in decades following a careful restoration. The Bermuda National Trust could not hold this event without a huge amount of community support, our Trust volunteers and our generous sponsor, Butterfield Bank. This year marks our 10th anniversary with Butterfield as our sponsor and we are celebrating with a fireworks display at 9pm. We look forward to seeing you there and sharing the true spirit of Christmas! Ferry - Beat the traffic and take a ferry service from Hamilton to St. George's or a shuttle ferry service between Marginal Wharf and Penno's Wharf. Depart every half hour starting at 6:45pm. Click here to buy tickets. Availability is limited. Truffles and mulled wine in their festively decorated banking hall. Bermudian historian Dr Clarence Maxwell will be signing copies of “Pembroke”, the latest in The Bermuda National Trust’s series of books on Bermuda’s architectural heritage, from noon to 3pm on Saturday, November 26th at Brown & Co.
“Pembroke” explores the history of the parish from Bermuda’s early days and covers many of Pembroke’s buildings, ranging from Government House to humbler houses on The Glebe Road and the North Shore and from ancient vernacular buildings to the modern Bacardi building on Pitts Bay Road. The highly praised series, not only traces the history of Bermuda’s oldest and most notable buildings, but the people who built and lived in them. Interesting topics such as the Black Watch Well, the early ‘common lands’, wooden houses and many other subjects are covered and Edward Chappell, Roberts Director Emeritus of Architectural and Archaeological Research at Colonial Williamsburg, has written penetrating analyses of several of the buildings. Dr Maxwell is Assistant Professor of history at Millersville University in Pennsylvania. Hardcover books and a special clothbound collector’s edition are available for sale at Brown & Co and other fine stores as well as at the National Trust headquarters at Waterville in Paget and in the Trust’s gift shop in the Globe hotel. Copies of earlier books in the series are also available. The Bermuda National Trust welcomed the fact that Bermuda’s environment and heritage received attention in the Government’s Throne Speech on the 7th of November. The Trust noted with interest plans to facilitate the growth of “the beach economy”. “We hope that environmental advocates will be involved in consultations to ensure that maintaining Bermuda’s reputation for having pristine beaches is balanced against the need for growth in tourism,” said Trust President Lt Col William White. Lt Col White also welcomed the development of a National Heritage Policy. “As the primary advocate for Bermuda’s built heritage and as the custodian of perhaps Bermuda’s largest collection of artifacts, we look forward to consultations on this vital initiative and support all efforts which help to build a greater understanding of our collective heritage,” he said. On the environment, the National Trust supported a Green Paper to reduce the use of plastics on the Island and further initiatives to reduce invasive species like Lionfish, and also backed efforts to reduce illegal fishing around Bermuda. The Trust also welcomed plans to remove the eyesore of the former Devon Springs Recycling Plant and to replace it with a playground and hopes that this will be expedited. The Bermuda National Trust laments the passing of William Sears Zuill MBE. William Zuill was the first Director and first full time employee of the Bermuda National Trust, and served in this capacity for 18 years until his retirement in December 1990. As such, he was an integral part of the history of the Trust since its inception in 1970. The Christmas Walkabout was his idea in 1978. It was originally a Christmas party for Trust members with events in each of the major St George’s properties held by the Trust to engage the membership in our historic properties. The Children’s Nature Walk was also created to do the same in places of natural beauty, and the Palm Sunday Walk, started in 1974, introduced members to parts of Bermuda they could not normally reach. These annual events are now attracting so many Bermudians they are truly national events, and have far surpassed their humble origins. William Zuill was an accomplished author, and many of his works form part of the educational publications of the Bermuda National Trust. He contributed to the first publication of “Held in Trust” and wrote and paid for the production of “Footsteps in the Sand” to provide historical content as a companion to the 400th Anniversary of the beginning of human habitation in Bermuda. His “The Story of Bermuda and her People” is now in its third edition and his latest publication, “The Pirate Menace”, was the subject of a very entertaining talk he gave only last year at Verdmont as part of the Bermuda National Trust series of museum chats. In addition to his work with the Bermuda National Trust, William Zuill was also very active in the development of the National Trust movement around the world. He chaired the committee responsible for hosting the fifth International Conference of National Trusts in Bermuda in 1989 which was attended by 53 delegates attending from 23 Countries. This conference was one of the many activities organized as part of the Bermuda National Trust’s 20th Anniversary. His leadership and advocacy within the international arena resulted in William Zuill becoming a founding member of the International National Trust Organisation. INTO has grown so that today it has a membership of almost 70 National Trusts from around the world. September 29, 2016 - The Bermuda National Trust today commended The Bermuda Olympic Association (BOA) on its decision to drop plans to install the Olympic Wall on the grounds of City Hall on a temporary basis and instead to place it in its permanent location at the National Sports Centre immediately. The Trust had concerns about the placement of the Wall at City Hall but chose not to object on the basis that the location was a temporary one. However, the Trust welcomed the BOA’s announcement, saying that the NSC was the most appropriate location for the Wall as the NSC served the whole of Bermuda and City Hall should be reserved for monuments dedicated to Hamilton. The Trust had also been concerned that the monument was to be located in the direct sightline of the Grade 1-listed City Hall and would obscure the view of the historic landmark. Said Trust President William White: “We agree with the BOA that the site at Roberts Avenue is the most appropriate location for a monument to sporting achievement and will serve as an inspiration to the many sportsmen and women, spectators and young people who use the NSC’s facilities on a regular basis.